This is a beautiful expression. If it's yours, please let me know so that I can credit you! I always feel like the ultimate message of Thanksgiving gets lost in the holiday shuffle. Today, I wanted to take a moment to write in my gratitude journal and share the entry with you. Try it, you'll notice how quickly expressing gratitude can raise your frequency (and when you raise your frequency, you make yourself a match to different experiences). I am so grateful for my family, friends, health (overall lifestyle), wealth (nature, money, home, etc) and daily happiness. 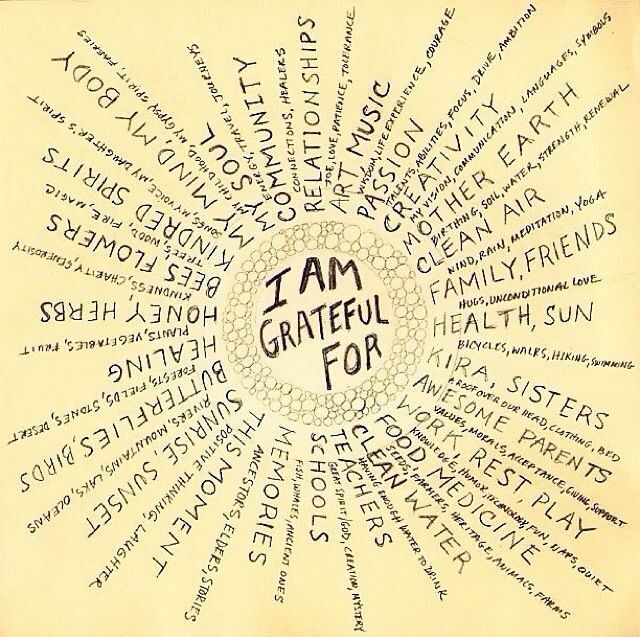 Of course, there is so much more I am grateful for and the list does go on and on, when I zoom in to focus on a particular area. But today, for simplicity, I am happy expressing that these overall themes of my life bring me so much joy and that I am deeply grateful for all of it.